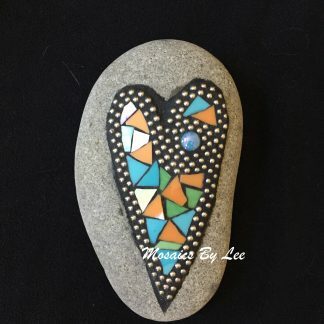 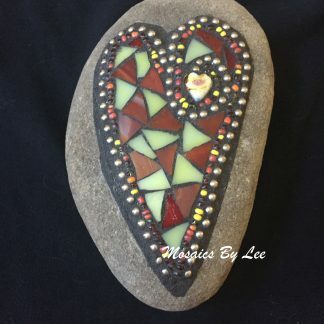 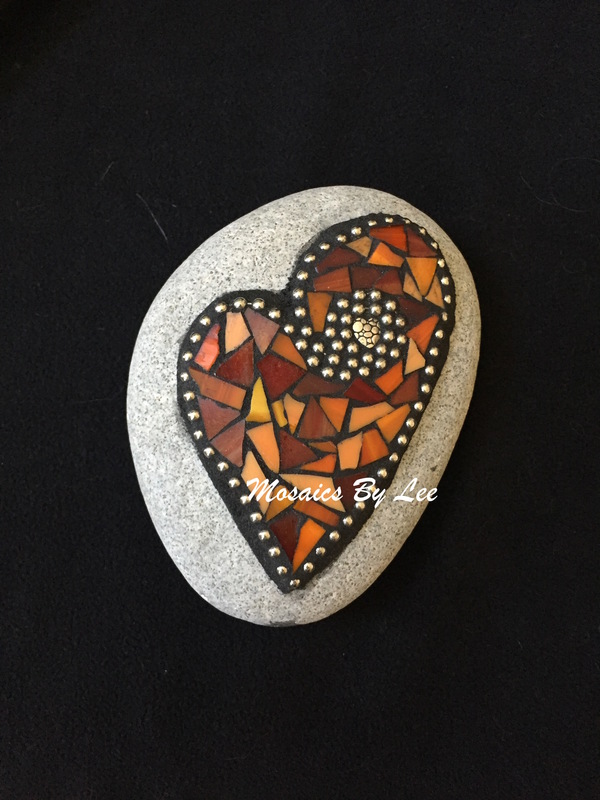 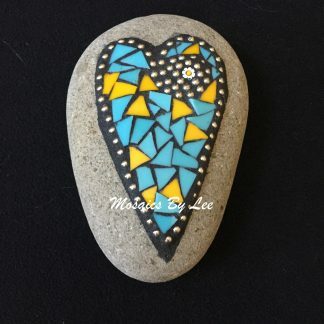 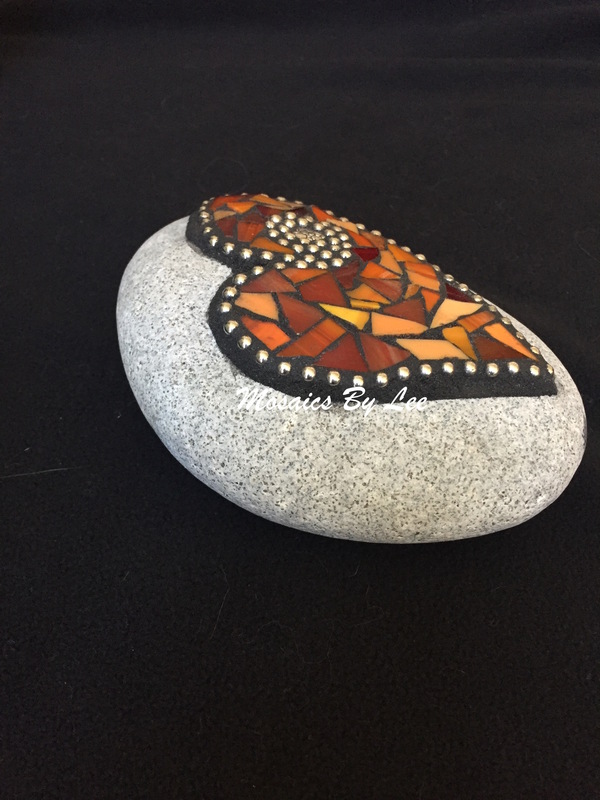 A delightful blend of red stained glass embellish this lovely garden rock. 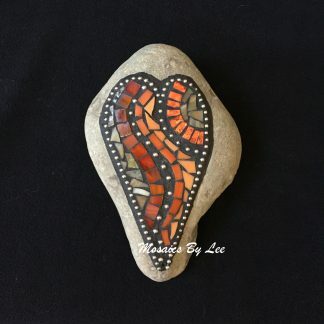 A delightful blend of reds and oranges add a splash of color to your garden with this lovely mosaic rock. 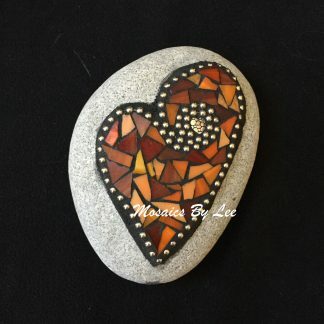 Silver ball chain may patina over time.